Somehow, it was legal before. But Tuesday, American Airlines joined the host of other carriers who are announcing bans on people taking hunting trophies on planes, the Associated Press's Scott Mayerowitz reports. "I don't think there was much of this shipment taking place, so there is minimal revenue loss and big PR gain for them," Mayerowitz quoted a travel industry consultant saying of American Airlines. NBC also reported last night that United Airlines was instituting a similar ban. Delta Airlines announced its own ban Monday. As recently as May, Mayerowitz notes, Delta had said it would continue to allow such shipments "as long as they were legal." Delta services the most flights to African countries among American carriers. "Delta would not answer questions from The Associated Press about why the decision was made now and how many hunting trophies it has shipped in recent years," Mayerowitz writes. A campaign to petition airlines now hosted on SumOfUs.org announced last week that major international carriers including Air France, Qantas and Singapore were also signaling bans. The announcements come after Zimbabwe's "Cecil the lion" was killed by Walter Palmer, an American dentist, with a bow and arrow. Newsweek reported that Zimbabwe is now seeking Palmer's extradition on "poaching" charges. "There's another villain in this story — global airline companies who are happy to transport these dead, endangered species 'trophies' around the world," the campaign says. 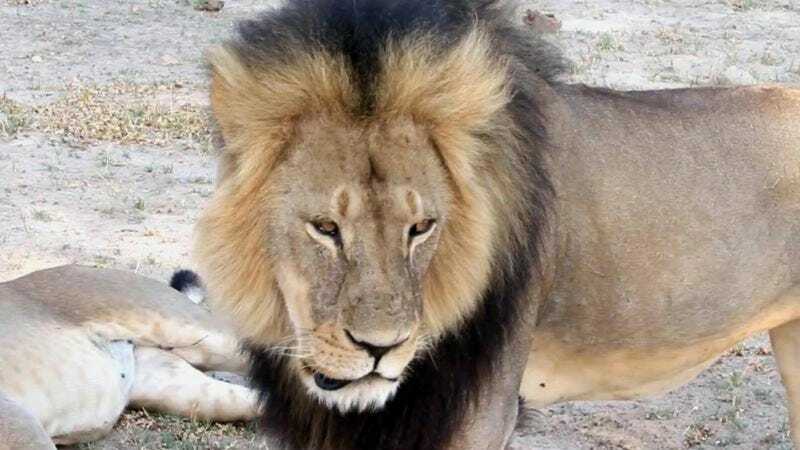 "If airlines refused, illegal trophy hunters would be stuck and the lions would be safe." The petition has over 260,000 signatories.